Whether you’re making new year’s resolutions or not, if you want to improve your health and wellbeing, here are some quick tips to help you succeed. Start as you mean to go on. What I mean by this is, don’t attempt something you know will be temporary. Don’t embark on a rapid weight loss diet that you know you will only continue for a short period of time or until you achieve your desired weight/look. You need to start something that is permanent and realistic. Eat healthily and your weight/shape will take care of itself. Forget the scales. Many people have an unhealthy relationship with the scales and become obsessed with the reading. The scales give no indication of what weight you are carrying; fat, muscle, water or bone. A more useful measurement would be a tape measure around the waist or even body fat measurements. What we are after here is body fat reduction not muscle loss. Be positive and focus on what you DO want to be i.e. leaner, healthier, stronger etc. Do not focus on what you DON’T want to be i.e. fat, unhealthy etc. Remove all garbage from the house. There will be times when you will succumb to temptation, if you do, you don’t want the Ben and Jerry’s in the freezer waiting for you. Plan your meals. Buy in the necessary foods in your food shop and you’ll be less likely to have to make that last minute ready meal purchase! Begin some kind of activity, ideally one that involves lifting weight. If your goal is to ‘tone up’ (one the most popular goals from newbies at the gym, along with ‘lose weight’) then what you actually want to do is build muscle. To build muscle you’ll need to be lifting stuff such as barbells, dumbbells, kettlebells and your own body. So if you’re new to this, seek the help of qualified people: personal trainers, gym instructors etc. and perhaps attend an exercise class. Please DO NOT begin a meal replacement programme (see article – Just eat real food and Choose your diet wisely). 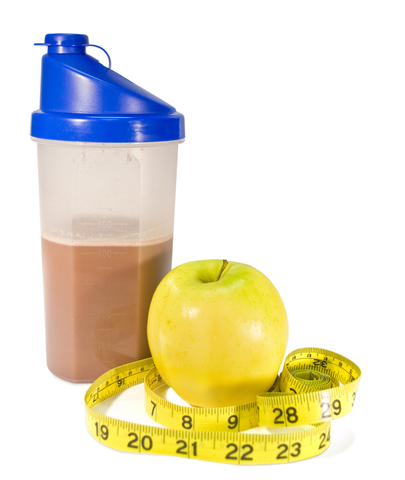 Meal replacements are not food and will not help you to be healthier or develop good habits.